Sarah specializes in working with children, adolescents, and adults who have experienced all types of trauma including physical, emotional, sexual and financial abuse. Sarah has a background in working with community organizations in both DC and Chicago, providing individual and group therapy to survivors of domestic violence and sexual abuse. Additionally, she has a background in managing and leading dance and yoga to teach social and emotional skills to individuals of all ages and backgrounds. 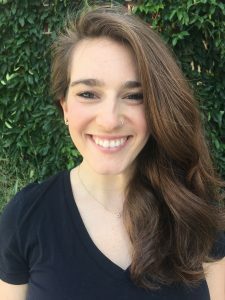 Sarah is a 200-hr Registered Yoga Teacher and has experience teaching yoga to marginalized populations and has training and experience in teaching trauma-informed yoga. Sarah has a Bachelor of Arts in Sociology and Dance from Skidmore College and received her Masters of Social Work from the University of Chicago. For more information, to schedule an appointment or to contact Sarah directly, she can be reached at 202-262-1000 x123 or via email.